TORONTO—Mozart’s “The Marriage of Figaro” is considered to be one of the best operas ever written, a brilliant combination of music and text. 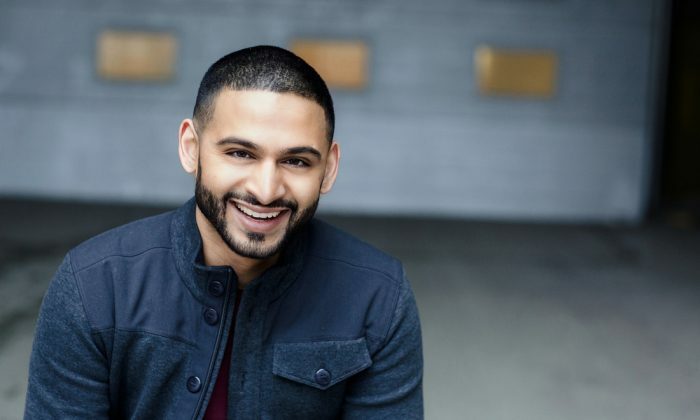 “It’s a perfect marriage of a librettist and a composer,” says Torontonian Jordan de Souza, who will be conducting the Canadian Opera Company production on Feb. 23 and 25. The COC assistant conductor will be making his debut conducting the COC Orchestra, taking over on these days from music director Johannes Debus who has been juggling a busy schedule conducting both “The Marriage of Figaro” and “Siegfried” this winter season. “You feel you know these characters within 30 seconds of being onstage and that has a lot to do with Mozart,” says de Souza. “He wasn’t a superhuman who wrote this. He really would have demonstrated such a total mastery of musical form, of musical expression to the point that he could engage that in such a dramatic way with a really witty libretto by da Ponte,” says the young conductor, who finds pleasure in studying Mozart’s masterpiece as well as working with seasoned singers. At 27, de Souza is one of the most sought-after conductors, demonstrating both an intense musicality and a passionate commitment to his craft. He is the resident conductor of Tapestry New Opera as well as a guest, assistant, and cover conductor for the COC and the National Ballet of Canada, among other national and international engagements. Next month he will be conducting the National Ballet’s production of “Romeo and Juliet.” In August, he is heading to Germany where he was most recently appointed head of music at the Komische Oper Berlin. The son of Indian parents who immigrated to Canada in the 1970s, de Souza is the second youngest of a musical family of eight. He and his six brothers all attended St. Michael’s Choir School in Toronto. Three of them, including de Souza, are now professional musicians. “For as long as I can remember I think music has been my first language,” says de Souza, who believes he first learned to express himself and the world through music. His career path came naturally to him; however, this did not mean any less hard work and wholehearted dedication. Music is a journey where you keep on learning and you learn from different colleagues, musically and from their personalities, explains de Souza. As a conductor, he gives himself fully to this job. He compares his approach to studying a score to taking apart the building blocks of a lego piece and understanding why the composer put them there. In addition to a firm grasp of musical elements, a conductor must also understand the historical context in which the piece was created, as well as tackle any technical challenges that come along. Being an opera conductor has its differences from conducting a symphony orchestra, notes de Souza. “[For the symphony orchestra], the conductor’s job really is, through rehearsal, to be able to take yourself out of the process later so that the musicians have been enabled to really listen to each other and create the music. At times, a stage hand may need an extra second to usher someone on stage, or at times, a singer may need a quicker musical tempo, depending on his state of mind, he explains. But in the end, he doesn’t think of these as challenges, but rather as a joyful opportunity to work with talented singers and musicians. Debus has a very collaborative spirit and surrounds himself with people with ideas, which makes one feel an active part of the process, says de Souza, adding that conducting the COC Orchestra is extra special in that it is happening in the town where he was born, grew up, and saw his first opera. His family is also here.